According to Israeli newspaper Haaretz, the alleged incident took place on February 13, 2017, when Michael Flynn was forced to resign as Donald Trump’s national security adviser. 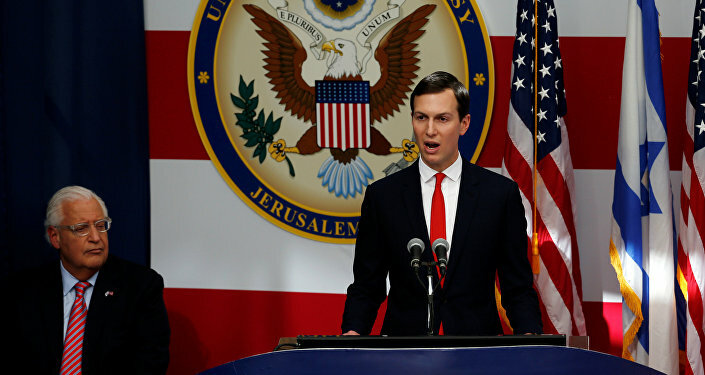 The US president’s son-in-law and adviser allegedly used an expletive in a conversation with Israeli Ambassador to the United States Ron Dermer as the latter visited the White House, Haaretz reported. Dermer reportedly sought to sign secret documents with the sitting president, which would allegedly serve as a sign of the US’ commitment not to ask Israel to abandon its purported nuclear arsenal. At some point, Kushner lost his temper and used profanity towards Dermer, allegedly saying that he wasn’t going to indulge to his desires just because of his Jewish background, the media outlet reported. “You’re not going to tell us how to run these things. Don’t try to push us around. Don’t try to jam us,” Kushner allegedly said. In January 2016, Jared Kushner was appointed as Senior Adviser to President Trump and was immediately charged with brokering peace in the Middle East. Last month, Kushner, along with his wife Ivanka and Treasury Secretary Steve Mnuchin, appeared in Jerusalem to mark an historic occasion: the opening ceremony of the US Embassy in the city. During the official event, Trump’s son-in-law also delivered a speech, which drew a barrage of criticism on social media.